Luminus SST-90 LED, 30W, lifetime 60,000 hours. The best way I can describe my first impressions of this light is... "holy crap!" 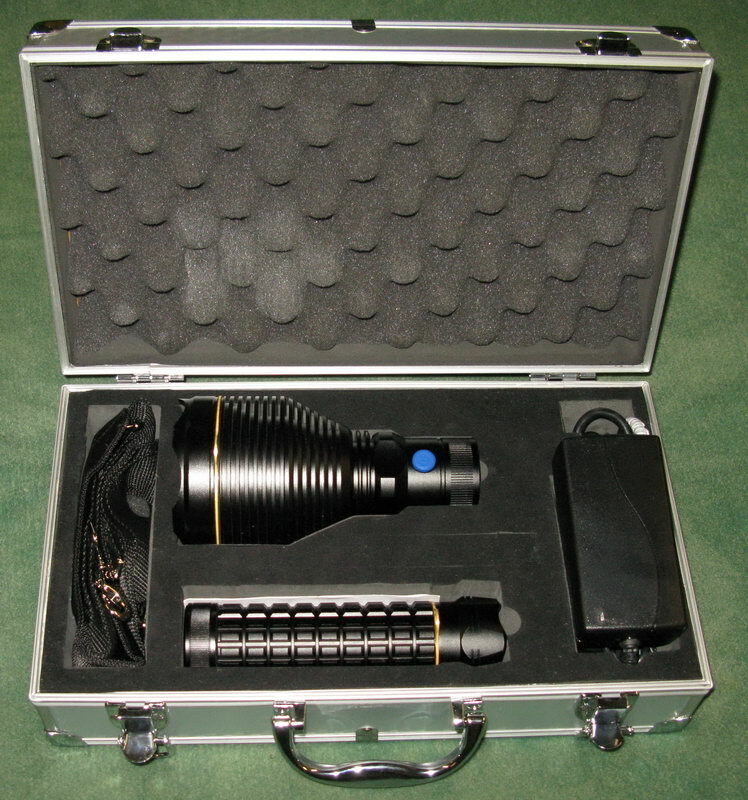 You know you are looking at a serious light when it comes in an aluminum hard case. Then you see it comes with a shoulder strap. You cant help but get a big smile on your face and chuckle a bit, sitting there in aw of it. If you have not used high power lights such as HIDs and million CP spotlights, this light will simply blow you away. I found it quite impressive, even though I do have experience with higher output HID spotlights. 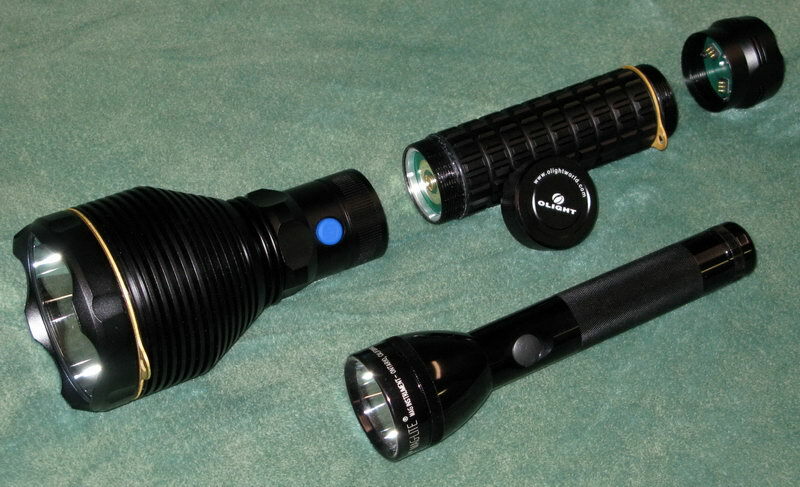 Which can push about 3500 lumens, compared to the SR90s 2200 lumens. But its an Instant 2200 lumens. Unlike waiting for an HID to warm up. That makes it much more usable, and well, fun. Even looking at the huge 30W LED is impressive when you are used to seeing your typical small die LEDs found in other lights. The SR90 was so impressive to look at and see in action that it got the attention of some people that arent interested in lights, including my mother. Even she wanted to go outside and shine it around. Indoors you cant even look at the hotspot on the way without squinting. I liked pointing it at the ceiling, and letting it bouncing the light all over the room. It will LIGHT up a room that way. Strobe mode it just insane indoors or out. 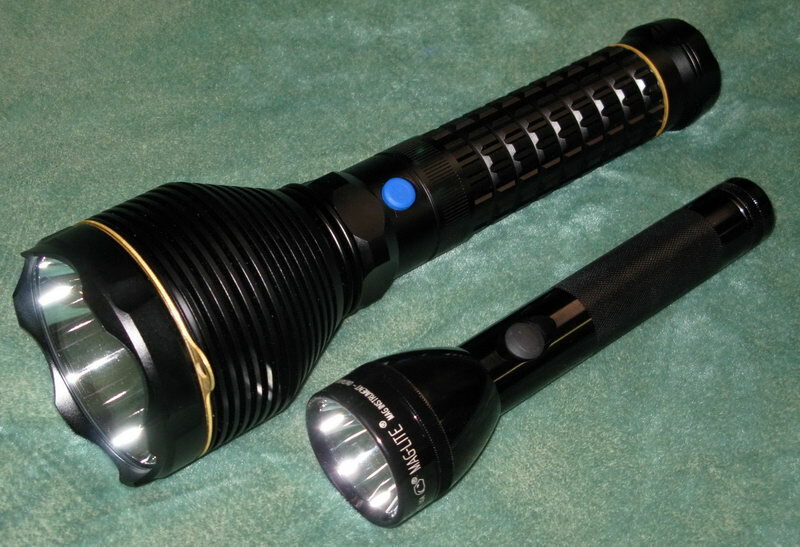 This is not a small handheld light, even though it may have a familiar shape, its quite large. Though not as large or heavy to need the included shoulder strap really. Actually, its lighter than it looks and doesnt feel bad in your hand at all. The SR90 would not be any more cumbersome to handle than any other spotlight in this range. I love the rectangle knurling thats on the grip, its very deep and aggressive. Not to mention giving the light a great look. I think the entire light just looks awesome and aggressive. The power switch is located on the side of the light near the head, like you would find on a Maglite. This makes it easy to operate even while holding the light with one hand. I saw no problems with the build quality on the SR90. It feels very solid and well built. I had it out testing it in some light rain, and how no issues at all. 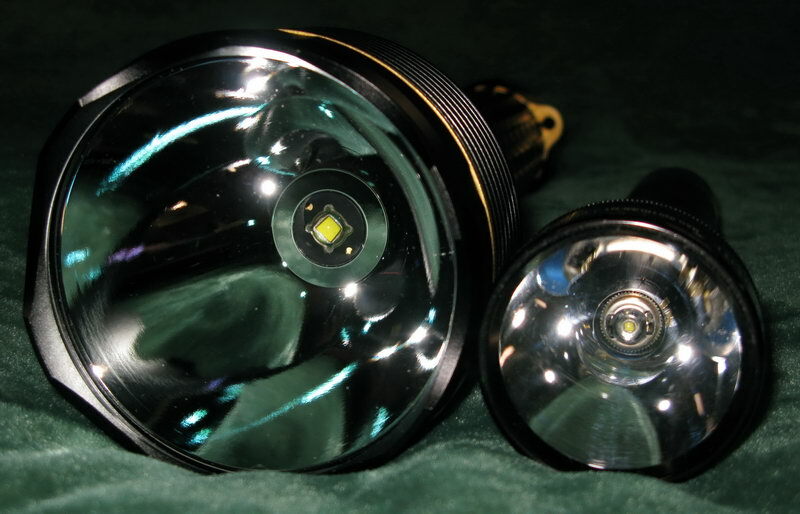 Being an LED light, it should be able to take quite a beating, much more than an HID or incandescent light. 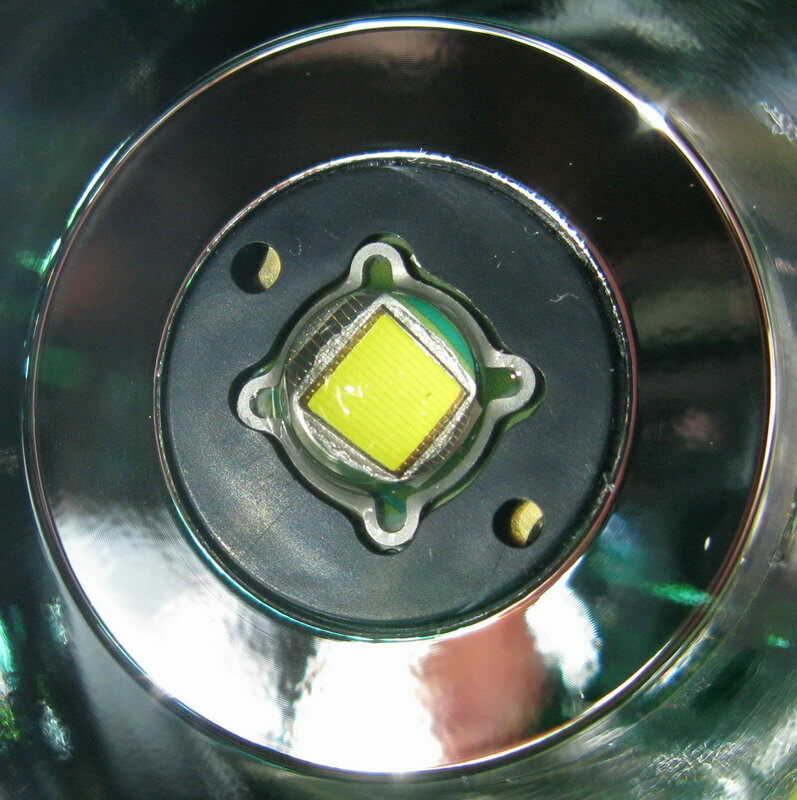 The LED life span is also roughly 25 times longer than some HID systems. 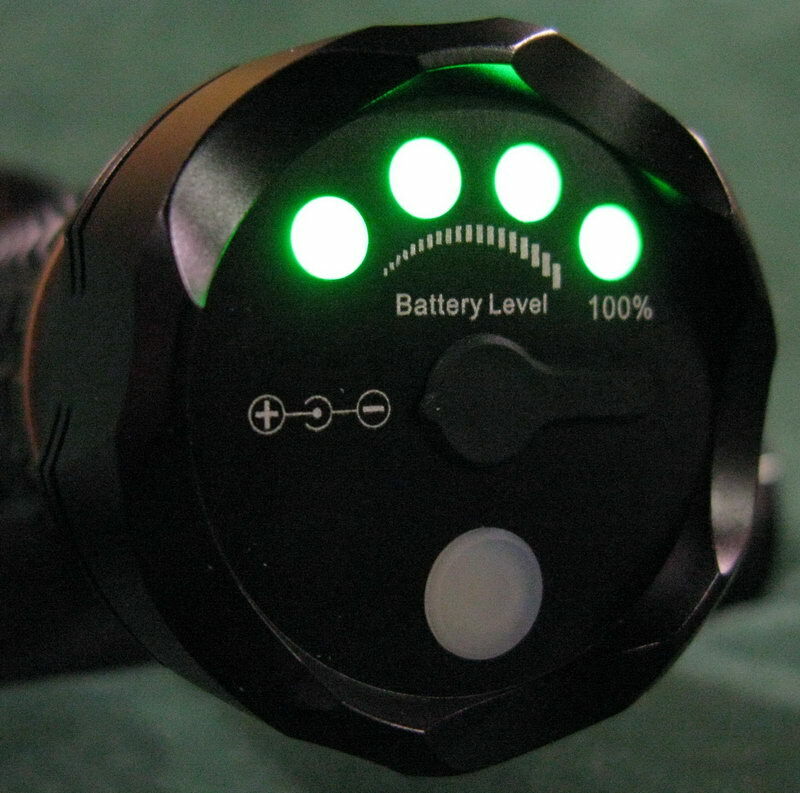 My favorite feature of the SR90 is the charge indicator on the tailcap. It reminds me of a battery for a laptop, you press a small button and 4 indicator lights will show you the charge state of the light. This is a very rare feature, even on larger lights. 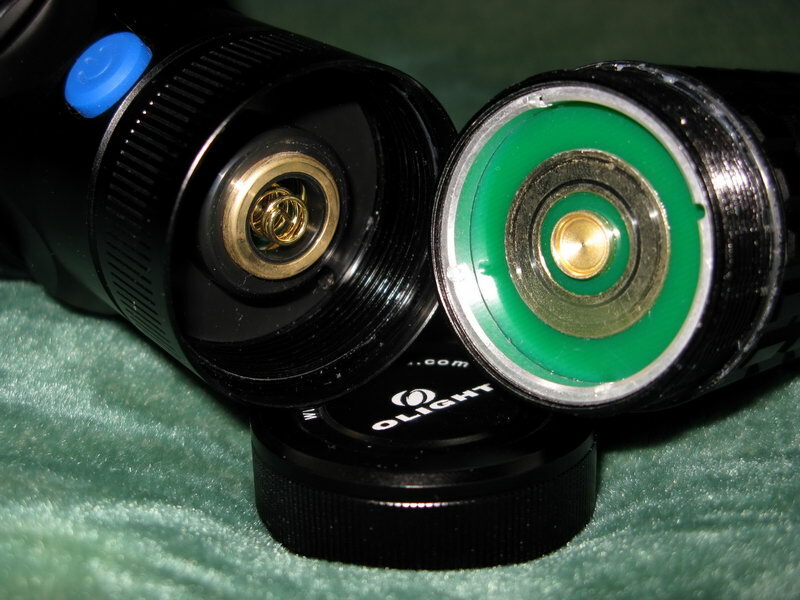 The charging port is also located on the tailcap, covered with a rubber plug. The head and tailcap are removable from the center battery section, which means you can purchase spare battery sections and swap them out for even more runtime. As mentioned above, the output of this light is quite impressive for an LED light. Certainly the brightest LED light I have ever used. I was also impressed by how tight the hotspot was for an LED die as large as this. Normally it is very difficult to focus the output of a large die LED, but the almost 4" diameter reflector on the SR90 does a great job. There are a few line artifacts right around the hotspot, but they are not noticeable at all with normal outdoor use, which is where this light will most likely be used. The SR90 also has a very nice even and wide floor to its beam. Which makes it great for lighting up large areas like a back yard, without getting a tunnel vision effect. This is the first LED light that I have been able to feel alittle heat in the BEAM. If you hold your hand over the lens you can feel some heat emitting from the light, thats not usually the case with an LED light. I guess thats to be expected from a 30W LED pushing out 2200 lumens. Even so, the light has so much mass and a nice finned head, so it seems to dissipate the heat rather well. The SR90 is certainly an impressive light in many ways. It certainly catches everyones attention, before you even turn it on. It has good build quality and great looking design. I love the charge indicator lights, I think that was a great functional feature that will be extremely useful. It is also convient to charge, since you dont have to take any batteries out of the light, simply plug in the charger. Sure, I have HID lights that are brighter, but the instant on of the LED makes it more useful in my eyes. I also trust this light to take more of a beating than my HID lights will. The hard aluminum carry case is a nice tough, and makes transporting the light alot easier and safer. Though it would be nice if the light fit in the case assembled.